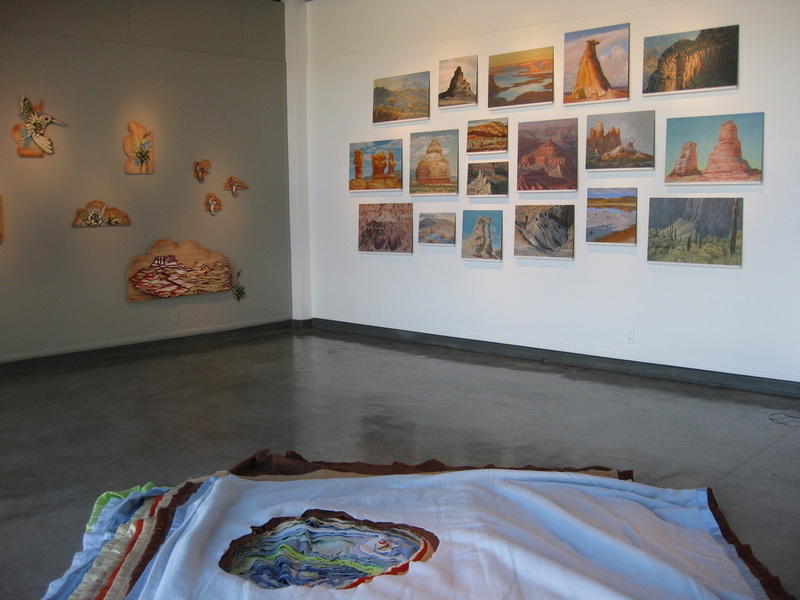 OUTSIDE features six California artists whose diverse subject matter often references the outside, literally, abstractly, or conceptually. 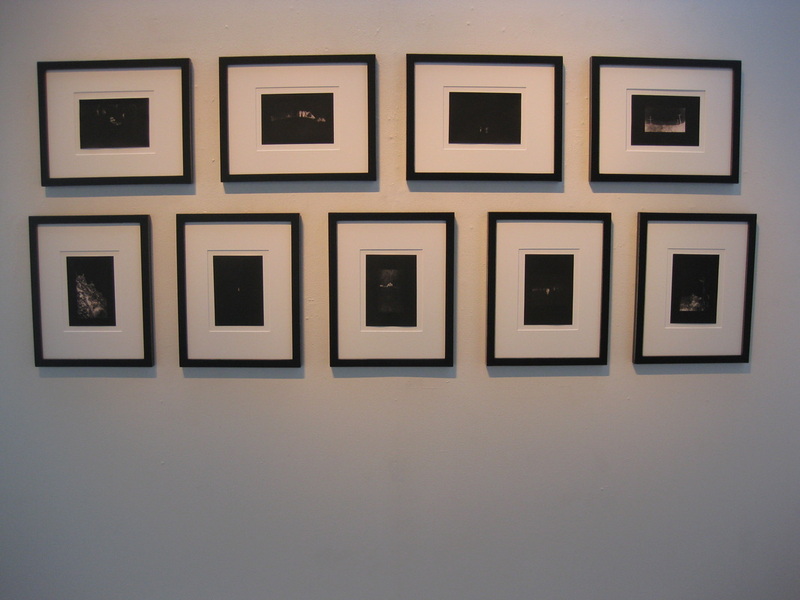 Direct observation, location, discarded photographs, scientific measuring, and graphic imagery are sources and inspiration for the artworks. 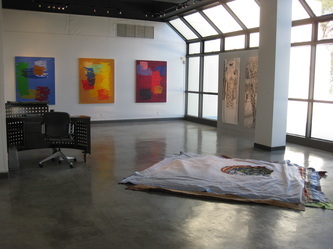 The artists’ varied work processes also inform the final results. 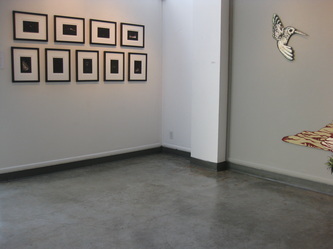 Artists included are Robert Dycus, Gail Pine, Rich Stich, Madeleine Tonzi, Kim Yasuda, and Pamela Zwehl-Burke. 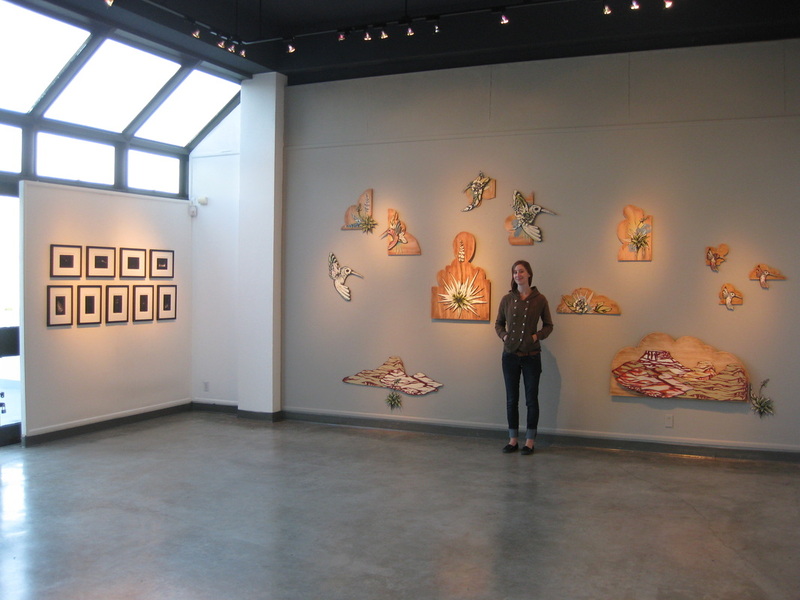 All the artists are based in the Santa Barbara area except Tonzi, who lives in the Bay area. Robert Dycus uses his focused observation and considerable experience of nature to produce his subtly powerful paintings. He seeks less traveled regions of Utah, Nevada, Arizona, as well as California, exploring and researching the geology and history of these areas. 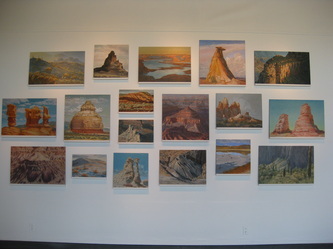 His art hinges on his long interest in all aspects of the American West. 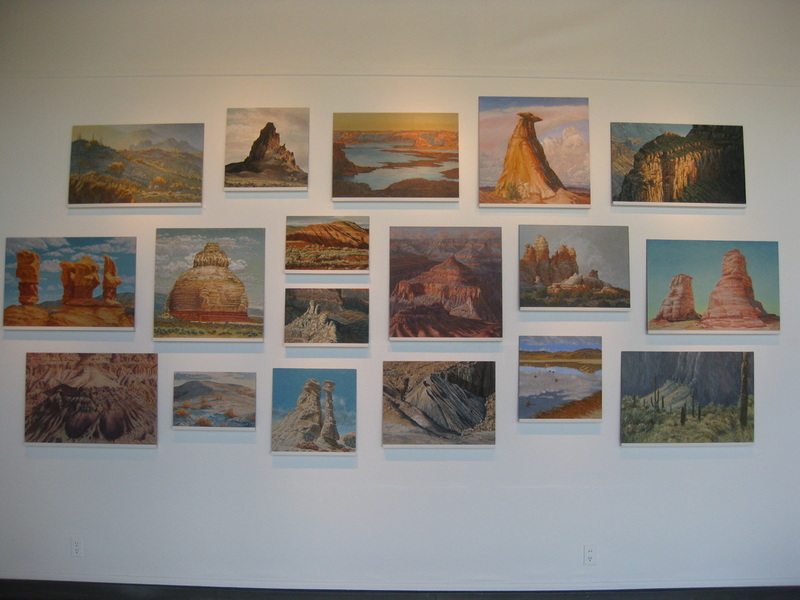 His paintings of the interior canyons of the Green River in Utah and of Kelso Dunes in the Mojave Desert were chosen to be in the Arts for the Parks competition shown in Jackson Hole, Wyoming. Cougar Mountain was selected to be in the Zion National Park Centennial Exhibition in St. George, Utah. 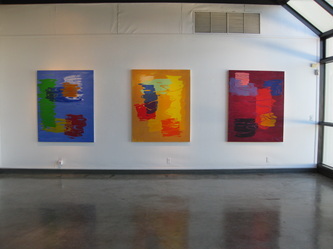 Rick Stich, noted Southern California painter, has a life long relation withthe ocean because of his passion for surfing. His time spent in the water inspires and gives structure to his work. His fluid brushstrokes and rich colorations are in constant shift, reflecting the nature of the ocean. In a rare instance of an artist successfully balancing representation and abstraction, Stich paints what he lives. 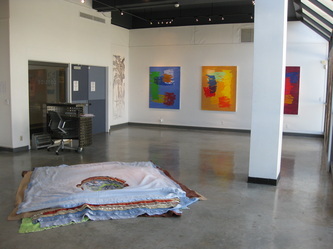 This spring Stich will be an artist–in-residence at the innovative Lux Art Institute in Encinitas, Ca. His work has been shown in numerous solo and group exhibitions and is in the Eli Broad Collection, LA, the Oakland Museum of Art, and, locally, the Santa Barbara Museum of Art. Madeleine Tonzi’s recent work involves drawing, painting, text, and printmaking to achieve mixed media installations that often investigates the relationship between memory and place. In her exhibition at CCA, Tonzi created visual interpretations of peoples’ testimonies regarding lost sense of place due to changes in their environment. 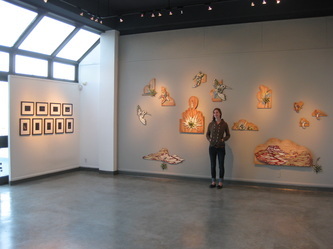 A native of Santa Fe, Ms. Tonzi frequently utilizes images of nature with a crisp, graphic sensibility. 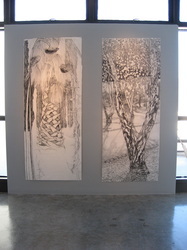 She will create a new large wall work designed for the OUTSIDE exhibition. 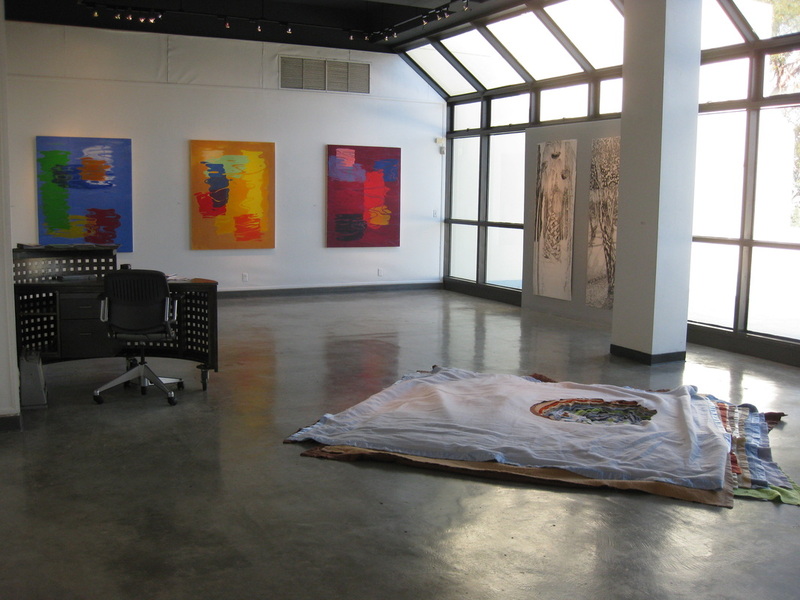 Tonzi lived in Santa Barbara attending Santa Barbara City College before moving to the Bay Area to complete her degree at the California College of Art in Oakland. In her floor work, Domestic Bathymetry, Kim Yasuda uses common household blankets that she has cut and layered to build a sort of reverse topography. Bathymetry is the study of underwater depth of lake or ocean floors. In this case it references Crater Lake. Yasuda’s installations and public projects investigate the links between identity and place within the contemporary landscape. The artist is the recipient of visual arts fellowships from the National Endowment for the Arts, US/Japan Foundation, Eliza M. Howard Foundation, Art Matters, Joan Mitchell Foundation, and the Anonymous Was a Woman Foundation. 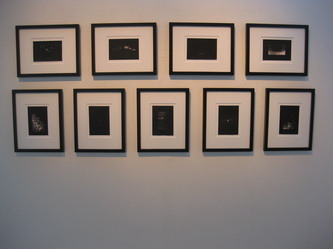 Ms. Yasuda is Professor of Spatial Studies in the art department of the University of California, Santa Barbara. Pamela Zwehl-Burke, is a serious practitioner of observational drawing. For the OUTSIDE exhibition, Zwehl-Burke grasped the title to heart and went outside on her property in the Santa Ynez Valley. Working with charcoal on large-scale paper, 93” x 32”, she took on the challenge of drawing the plants, trees, and other vegetation that fill her landscape. Reducing what she saw to black and white, the evidence of her hand and the drawing process is clearly evident. 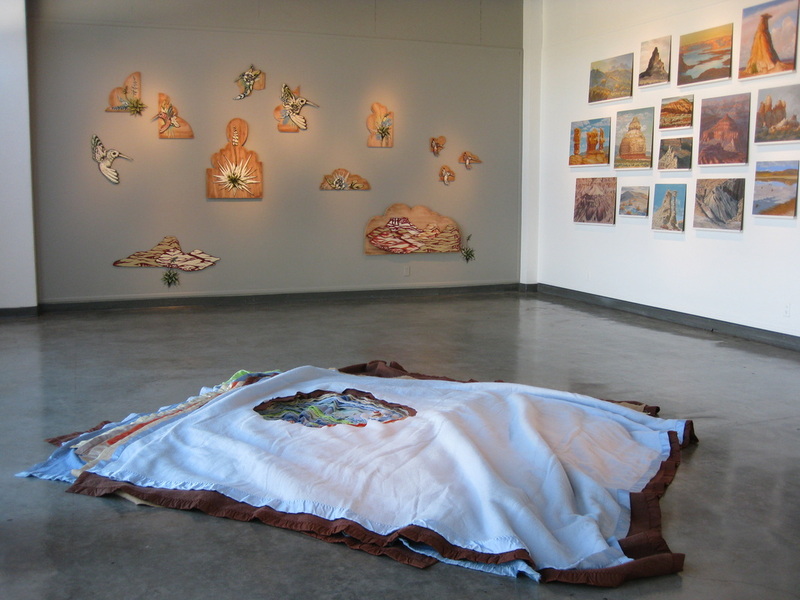 She says, “Forever interested in what the natural world means, I have spent many years looking, to encode and decode visual matters.” Zwehl-Burke is a recently “retired” Professor of Art at Santa Barbara City College.